Forum Donation Help - PEASE read :14dance: - This Forum is brought to you by The Mastiff Sweet Spot and Friends of the Forum. I do need some help in paying the monthly expenses involved to keep it functioning. Any help with this ongoing expense of mine would be greatly appreciated .. I would love to donate. I love this forum and visit it daily. Can you post a PayPal link cuz if you wait for me to remember to sit down, write a check and actually get it in the mail it may be a while. Promise I will if Marley is pregnant!! Every bit helps I'll donate...just because I use the resources. Thanks Linda. Linda, please do not think i am being cheeky, but could you enlighten us as to what the actual costs are !! I for one have no idea what is involved money wise, and i am sure many others are thinking the same !! When people pay out money, they like to know where it is going etc. I am in two clay pigeon shooting syndicates with only 15 members in each, and i can assure you each member wants to know where and how the subs were spent, in other words, accounts !! Unfortunately not all of the Forum members contribute - so far 4 donations this year and about 16 last year, none for several years before that. In a perfect world everyone would contribute their fair share, but when I asked for dues, most people really balked. They feel it should be free, and that I should pay for all of it. I will as long as I can - when I can't, I guess the Forum will cease to be. Here is the break down - it foes not relect the $800 a year I was paying for the storage - now I pay by the month. ($79) - costs me $178 a year more that way, but I just can not scrape up the annual fee at once. It also does not reflect the charges for the extra things I added from time to time, which I no longer do. The next three donors paying by paypal will be matched up to $50 per donation. Please PM your paypal receipt your information will be kept private! Linda - Thank you for keeping the history storage, I have learned tons of information and thank you for keeping the advertisers out of the forum. I know that they would help keep cost down. That is the log that Website Toolbox keeps - their record keeping is certainly better than mine! I have nothing to hide - my life is an open book. Every time I think of retiring the forum, I think of all of the information here - no way can I remove all of that. 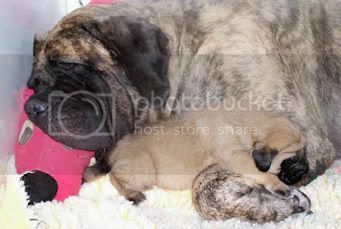 It is my way of helping other mastiff lovers.. passing it on. Thank you for your generous offer.. you are very special. I have absolutely no problem with the $12 per year. It's a very small price for a great resource. I love the Forum too, I just hate the ads at the bottom. I wish we could generate enough to get rid of them. I sent in l2 but can't remember when...is another dues due?...LOL.. bit helps. Linda shouldn't have to pay for this resource by herself. My offer of matching will expire on August 1st. Please any possible amount up to $50 and I will match it. 12 can easliy be 24. Again thanks to Linda we have the great community. I know that alot of people have meet one another in real life. Mscris - I'll donate 50 today via paypal. We can't let that offer of yours lapse! Thank you sarahk2, please send PM with reciept number or have Linda confrim your donation. I think Linda can confirm - it would have come from "Ron Kalyan" - that is the name the PayPal account is under. I want to thank all of you who have so generously contributed to the running of the Forum - thanks to all of you the Forum is a sure thing until the end of the year. Just made a donation. thanks for this forum. It really has been helpful. PS...I certainly would not object at all to a $ 12 - $15 or even $20.00 annual fee. I just made a donation. Sorry it has taken me so long! I asked for a $12 annual fee and people got really upset, so I recinded my ask. Christina, it is people like you who make my job with this Forum so much more doable. Thankyou!! what would be fair for a litter anouncement? Linda, just letting you know to expect a check in the mail soon, i dropped it in the mail yesterday. Thank you so much for what you do, it is greatly appreciated. I think I may be in need of a new computer soon as I am wearing this one out fast spending hours upon hours on the forum. Linda - I sent a donation through PayPal. It is not much but I hope it helps! Linda, may I ask as to (approx. )how much it generally takes to run the forum for a month? I am thinking I can make some more regular donations. It averages about $150 - $200 a month. Never less than $150. People just don't realize how much this digs into my budget ( budget, what's that! ) but I have to keep it going - there is just too much information here to toss it away. I learn from it all the time - just this morning I learned why puppies sometimes get a lump wher they have received a vaccine. And the pictures.. I love seeing other dogs.. even the foreign ones. What an education. Meeting new mastiff fanciers.. that rocks. Keeping up with the people I know of.. seeing the mastiff museum, well, it is just all good. It a tremendous resource!!! And that is a lot of money coming from one person's pocket, every month! I shall try my best to send something regularly! Hope all is well down your way! I am mailing you a donation for the forum and hoping to post a litter announcement... THanks for keeping the Forum up. I don't get much time to come on often lately, but I refer people to this wonderful resource all the time! I no longer use PayPal because my account got hacked. Please watch for my check later this week. Hoping to come to Eukanuba this year, so maybe I can catch up with the Florida folks. Thank you guys - I appreciate the help. Sent a paypal donation. Thanks for the forum - such a great resource. Put 50 in the mail. Thank you guys - I so appreciate the help. gets lots of compliments on it..